If you have termites, rodents, or bees wreaking havoc in your home, you probably scheduled pest control services as soon as you became aware of the problem. In the hustle and bustle of dealing with a pest infestation, odds are likely that you might have forgotten to mention another animal scouring around your home — the household pet! While a good pest control company can work around a household with a pet in it, there are a few good rules of thumb to keep your furry friends safe — and those other furry fiends exterminated. Check out these tips from Pentecost Pest Control, the Top Rated Local® pest control company in Modesto. For residential and commercial pest control services, including termite inspection and elimination, be sure to contact us today! 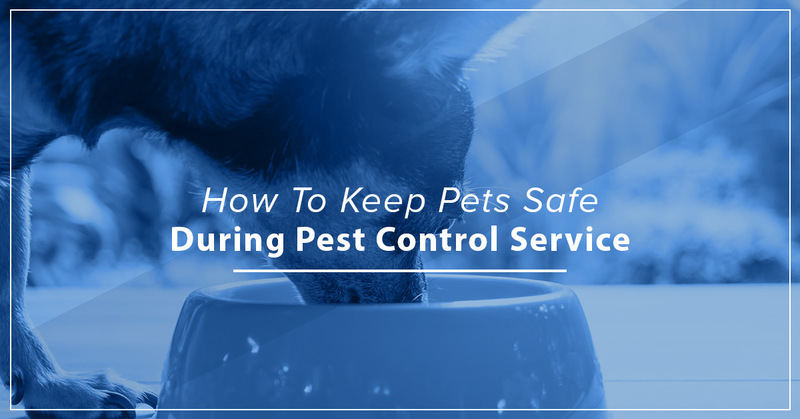 Even if you’ve already scheduled service with your pest control company, consider calling them back to confirm that you have a pet in the home. This will either let them know or remind them that they need to take caution and use pet-friendly pest control tactics in the home. If your pet will be in the home during the time of service, let your pest control company know this as well. They will likely be able to tell you if the pet will be in the way and if you should make alternative arrangements for that day. On the day of pest control service, have a plan for your pets. Even the friendliest pets can pose a problem, as they might venture too close to some pest control materials that aren’t pet-friendly. They can also distract the pest control professional from getting the job done. great options for your pet. For pets that do not handle unfamiliar people, scents, or noises very well, it might be better for everyone’s sake — and the pet’s! — to keep them at doggie day care during the service. If you have birds or reptiles, you’ll want to prepare their cages and tanks for pest control service. If an indoor treatment to remove bees, fleas, or bed bugs is occurring, birds and reptiles might be susceptible to airborne sprays. Birds, in particular, have sensitive respiratory systems. Reptiles are extremely sensitive to their cage atmospheres, so even small changes can lead them to feel restless and agitated. As with before any service, it’s best to be upfront with your pest control company to let them know about what pets you have, where they are, and how many there are. As the Top Rated Local® pest control company in Modesto, Pentecost Pest Control is well-versed in servicing houses with pets. Schedule with us today in Modesto!